President Yahaya Jammeh of Gambia, who has ruled the country for 22 years reportedly lost re-election on Thursday to the country's opposition leader, and that he has conceded defeat, Kenya Daily Nation reported on Friday. "It's really unique that someone who has been ruling this country for so long has accepted defeat," Alieu Momar Njie told reporters ahead of the results of Thursday's presidential election." The Daily Nation quoted Njie. The question observers are seeking an answer is about the possibility of any candidate in a presidential election conceding defeat ahead of an election result? "Why the urgency?" People are asking. They say that even if Jammeh has been told the election result is not in his favor, is it not necessary for him to wait and let the result be released before conceding defeat? 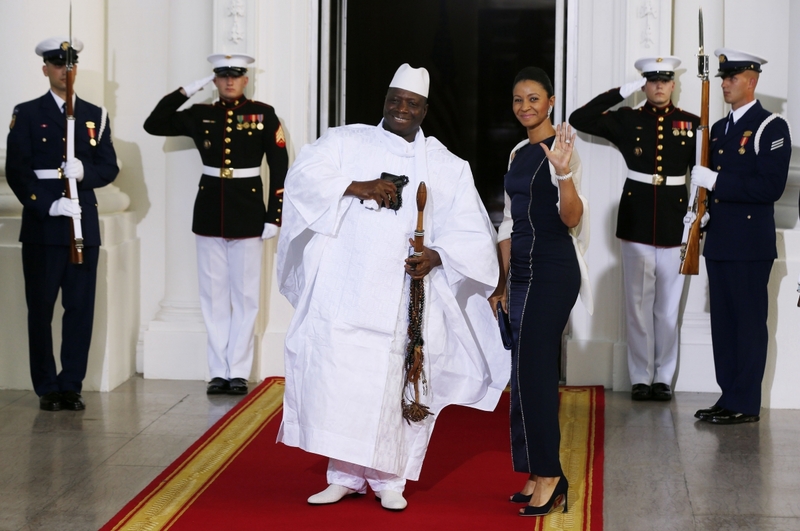 Viewed from another perspective, some observers say that it is possible that Jammeh having been in power for 22 whole years, he may be tired of the trappings of office and wants to step out as early as possible to get the burden of state affairs off his neck. Hear The Daily Nation in its report, "Jammeh, who once said he would govern for a billion years if God willed it, was attempting to win a fifth term with his Alliance for Patriotic Reorientation and Construction (APRC)." .Anyone can easily see that this is an expression of confoundment about a man who had vowed to rule for a billion years to suddenly concede defeat ahead of release of results. However, the report says that Gambians are watching developements and waiting to hears Jammeh congratulate the election winner as antici[pated later on Friday. The report says he conceded defeat, but he is yet to congratualte the winner. The nation is waiting for him to congratulate the winner. And until he may have congratulted the winner, the winner too will think the incumbet president is bowing out, but that he has not completely bowed out. Doesn't it sound weird that that a leader is bowing out following the loss of reelection makes the headline? The reason is that conceding elections in the past has been anathema, but now it is becoming a norm, especially from a leader believed to be a dictator, who may not want to vacate the office for any reason.